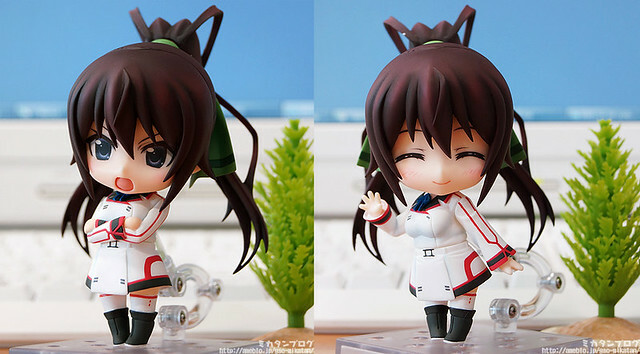 After being available for pre-order yesterday, Phat Company‘s Nendoroid Shinonono Houki from Infinite Stratos gets the preview treatment by Mikatan today. This entry was posted in News and tagged infinite stratos, nendoroid, shinonono houki. Mika-tan is actually a staff at Good Smile Company. She usually does the marketting campaign of GSC on her blog, including reviewing new figures.